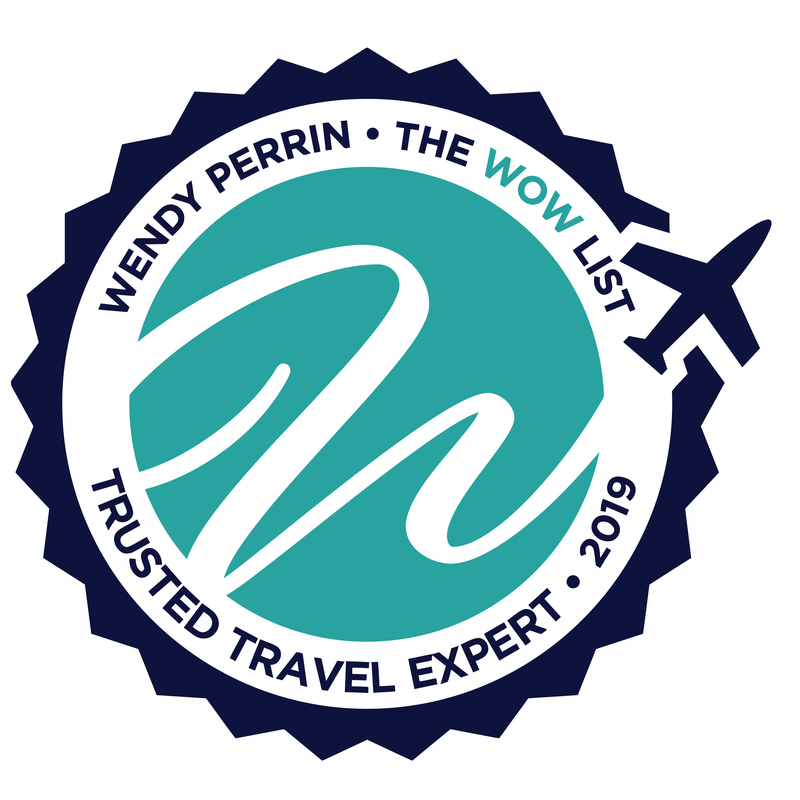 Caroline Bach Wood is on Wendy’s WOW List of Trusted Travel Experts for her expertise and connections in the American West. The reviews below are from real travelers who’ve taken trips that were arranged by Caroline and monitored by Wendy. Don’t miss Caroline’s Insider’s Guides to Yellowstone National Park and Jackson Hole, Wyoming. My family has just returned a couple of weeks ago from our trip to Utah and Arizona and my son said it was one of the best family trips he has taken. Caroline, after an initial discussion with me, was able to layout the trip for us to visit a number of National Parks. She selected the best places to stay, like in Zion where we could walk into the park. She knew the places where we could hike and do things on our own and where we should have a guide. The trip information she sent to me through an app gave us all the information we needed including the best restaurants to eat at. Unfortunately, our WOW event was to be a night of stargazing in Utah but we ended up having a rainy and cloudy night and it was canceled. Caroline made sure that WOW event would be available to us for a future trip. Would not hesitate to recommend Caroline to plan your trip. Caroline Wood created a masterfully crafted itinerary for us. She demonstrated a broad, intimate, discerning knowledge of the American West, and virtually all selections for lodging, dining, and activity were impeccable. Our 14-day tour of the Southwest was perfection, and even car travel between stops was a source of wonder. Since Caroline’s expertise is so extensive, travel possibilities are endless and she is fully capable of closely customizing each vacation. There is really no single one thing you can do to guarantee the success of your trip than to simply contact this highly talented travel professional. We just finished a road trip with our kids thru Zion, the Grand Canyon, Lake Powell, and Sedona. It was one of the more memorable trips we have taken with our kid’s thanks to Caroline. Caroline was instrumental in planning the general itinerary, offering great advice about where to go and how long to stay at each stop. The hotels and activities were all great. I would have spent hours researching and still would not have planned a better trip. I would definitely use Caroline to plan another trip. Caroline curated a flawless itinerary for us. Our trip had ample activities to keep us moving, hiking and engaged throughout, with adequate downtime for rest, late wake-ups, and exploring things on our own. To break the long drive between Moab and Escalante, Caroline suggested a break at Capitol Reef National Park which we would never have thought on our own. The scenic drive alone was fabulous! We felt we touched on all the highlights and got to see everything we wanted. Finally, the Axus app was simply brilliant — no more carrying and losing itineraries and documents. Bottomline, Caroline took all the stress away from planning the whole trip as I didn’t even know where to start nor had the time to plan with my hectic work schedule. I will not hesitate to recommend and book Caroline again. We had an amazing adult family trip to Big Sky, Montana, Yellowstone, Grand Tetons and Jackson Hole and Caroline Wood and her team were everything we were looking for in a travel advisor. Right from the start, Caroline got on the phone with me to ask questions and find out all our wishes. She then laid out some great options on accommodations and activities – all exactly as we had discussed. We did not need to have extensive back and forth – she just got it. In our final conversation before departure she made sure all of my questions were answered. As for the trip itself, all was seamless. Caroline and her team laid everything out day to day, involving drives, tours, rafting, hiking, fishing and delicious meals (including a private chef at home after a long day of touring). All top notch. We did not have one snag. As the travel planner, she made me look like a hero. The tools they used and all the back-up information on all the locations seemed to anticipate all our questions (lunch, where to hike, etc..) We rented a fabulous home in Big Sky and stayed in a wonderfully, fun inn in Jackson Hole. I would not hesitate to use Caroline again. Wow! We experienced an extraordinary trip to the National Parks and Monuments of Utah thanks to Caroline. It was such an exceptional trip that I made contact with her when we got back to let her know that I would hire her again for other trips that we are planning. I remember the trip packet delivered to the house and wondered why she would include a paper map of Utah since most navigation these days is accomplished with our cell phones. It certainly came in handy in the remote areas of the state where we had no cell service often. Everything was so well detailed and planned out. We experienced moments in time that were transformative: The native Navajo guide that sang to us in his native language while we were sitting within a grotto at Monument Valley. The slot canyon tour that resulted in absolutely amazing photos thanks to another native Navajo guide that helped us with our Nikon camera settings thus maximizing the cameras capacity to capture vivid colors within the stunningly colorful canyons. The sunset at the rim of Bryce Canyon displaying blazing shades of yellow, orange & pink. The drive at the base of the canyons at Capitol Reef that could have so easily been missed had she not pointed this out to us. Lastly, the hot air balloon ride at the Amangiri. I still cannot believe we experienced all that we did. I could not have planned a better trip. All of the accommodations were superlative! All of the restaurant recommendations were a hit! Quesadilla Mobilla, Moab was delectable! Caroline is worth every single penny you pay her to organize your trip. If you truly want to experience a “Wow” moment, hire her. Our two-week vacation in September was a breathtaking adventure! Caroline provided excellent service, even though we were slightly out of her area of specialty – we were traveling in the South-West. A lot of the problems that we encountered were caused by our lateness in planning the trip. We also misjudged the popularity of the National Parks during September and October. We have already contacted her about a trip for next year within her area – in the Mid-West. Caroline Wood is awesome. We could not have had a better trip. Please continue to recommend her. I will use her again! Caroline Wood planned a trip for me and my husband to the Tetons, Yellowstone, and a Montana dude ranch. We discussed our preferences and she delivered, flawlessly. Plus she sent detailed notes about hiking trails, good restaurants, and museums to see along the way. There were some fires that closed roads in Yellowstone, but she was on top of that and gave us alternate directions. I will use her again! Many thanks Caroline. I want to thank Caroline for all the planning she did for our trip. We enjoyed everything she chose for us. We would not have been able to plan this trip without her. Everything went perfect, we got written material that was absolutely helpful, with everything we needed to know about the places we visited. 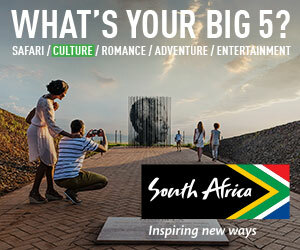 Got us guides, hotels, and tips for the best in all our destinations. She was even in touch with us before, and during the trip anticipating problems that could arise. Her choices of hotels were fabulous! I highly recommend Caroline Wood and her team! Spot on with her recommendations. We wanted a trip to Yellowstone and Grand Teton National Park, which included all the sites in that part of the country. I told her what we wanted to see and she took it from there. Caroline laid out a perfect itinerary, including where to fly into and out of, where to stay (which she booked), how many days to stay in each spot, and suggestions on how to spend our time in each spot. There were places she thought personal guides would enhance our trip, and places she thought we could see on our own. She was spot on with her recommendations. We loved our guides and we learned a lot we didn’t know. With theorize we had, and what we wanted to see and do, we don’t think our trip could have been any better. Well, okay, if the lodges in the National Parks had tvs or Internet service it might have been a little better. Seriously, we were very pleased overall. In the winter of 2015, I planned a 3 week trip to Montana and Wyoming for August 2015 and had to cancel days before departure due to a death in the family. Caroline was so helpful in getting a full refund for everything, except the dude ranch, which we were able to postpone to the following year, August 2016. We then compressed the trip into 2 weeks, so it was a different itinerary, but still fabulous. When planning the original trip, Caroline had all kinds of insider knowledge about when to go where, and why, that I never would have known even to consider! Additionally, to suit my 7 year olds passion for learning about Native Americans, Caroline connected us to an expert on the local Native American groups around MO/WY . She really listened to what our family with 2 young kids would like and be able to handle, and she had lots of creative suggestions and then came through with the goods. Ultimately, this part of the trip had to be let go when we shortened the itinerary. But this summer she got us the last room at Old Faithful Inn in Yellowstone, and it had a view of the Old Faithful geyser, which we could watch erupt from bed! Again, how would I know which room to ask for? And I am imagine that the last available room didn’t just happen to have this view – she made that happen. Our tour guide was delightful and fun, and he hooked us up with another opportunity we didn’t know existed – the chance to ascend the roof of the Inn and assist the bellman to take down the flags. It was a highlight and was the kind of detail that I wouldn’t have known about. Finally, Caroline suggested a fantastic dude ranch for our family, which was the highlight of the trip. From our conversations she figured out what we might like, and we had a phenomenal time. Caroline Wood was terrific throughout. I had already done quite a bit of research on what I wanted to do in Grand Teton and Yellowstone, but Caroline was able to make perfect recommendations for guides and accommodations that fit our needs. She was responsive and professional throughout. We had Caroline Wood assist us on our trip to Glacier National Park, Yellowstone, and Grand Teton/Jackson Hole in August 2016. The trip was exactly what we wanted, very active, with significant assistance during the trip to minimize any hassles. It was an expensive trip, not surprising given the peak travel time, the relatively last minute nature of the plans, and the use of guides etc. Caroline had a terrific knowledge of the parks, and gave us a 50 page treatise outlining our agenda, points of interest, restaurants, things to do, and even the history of each region. The individuals she chose to act as our guides and assist us with our activities were very experienced and top notch, not to mention very pleasant. I do think it would have been possible to accomplish some of this on your own if you were a decent planner, reader etc., but why bother when you can have someone like Caroline ensure that you see and do all the best stuff and avoid wasting resources and time from your valuable trip. And all of this at a relative pittance compared to the total cost of the trip and the amount of work entailed. As helpful as Caroline was, her value really was apparent when our flights were seriously disrupted on our way out West. Caroline was in constant communication with us, and had to rearrange our plans with hotels, guides , activities etc. several times on our way out. This would have been a nightmare for us to do on our own, not to mention an enormous hassle. Caroline fixed everything on the fly, and we didn’t miss a moment of our trip! This was our first time using Wendy’s WOW list trip planner, and certainly not our last. Although we chose to make this a relatively expensive trip, I have no doubt that Caroline could have tailored this trip to any expense level we desired. She was a delight, and I highly recommend her! Caroline helped us book a trip at the last minute which we thoroughly enjoyed. She picked terrific locations and activities. Caroline Wood is amazing. She listened carefully to how I wanted our family vacation to go and she executed perfectly. She provided a number of options, scheduled activities with highly skilled providers and was able to pull a rabbit out of a hat with accommodations given my late planning. I would definitely encourage anyone to use her if you’re planning on visiting Big Sky country! Would gladly use Caroline again. Caroline was very responsive and informative and gave us some great advice on guides, hikes, excursions etc. both in and outside the park. The lodging and restaurants were all spot-on. The itinerary was clear and very helpful. Would gladly use Caroline again. Made our vacation truly special. Caroline Wood provided great suggestions and made our vacation truly special. She also helped with upgrades to get us the best room in an Irish Castle and credits on a luxury river cruise. We will use her again! My wife and I just returned from Las Vegas, Zion, and Amangiri near Page, Arizona. This anniversary trip was a last-minute idea after reading about Caroline Wood. She was great, to say the least. Small fee was more than covered with upgrades, meal credits, spa treatments, and unexpected gifts. Best of all, she stayed on top of it all the way through….road closures, time zones, and great rooms. I highly recommend and look forward to her help again. We had a fabulous trip with our Travel Expert, Caroline Wood, in Utah this month (September). Every hotel and restaurant and tour she planned for us was ideal and just what we wanted. We went to Park City, Zion, Bryce, Canyonlands and Arches National Parks. Our highlights were her recommendation of Hell’s Backbone Grill in Boulder, Utah and our tour of Monument Valley on the Navajo Reservation. We would do it all again. We had a fantastic Yellowstone family vacation. This would not have been possible without the help of Caroline Wood. I started looking up information and became overwhelmed with the amount out there. I wanted a family vacation of a lifetime, without the hassle of figuring everything out, and we got it! After contacting Caroline, we exchanged emails and talked on the phone to clarify what we were looking for. After these conversations, she sent us her recommendations, we reviewed and revised and then SHE arranged everything! She was “spot on” with her suggestions. We wanted a personal Yellowstone experience—sure we wanted to see the highlights, but we also wanted the lesser-known wonders of the park. She delivered on that, and was able to get us a great place to stay, even on short notice. I would highly recommend Caroline. Her cost was an excellent investment. Caroline Bach was a wonderful travel expert and very helpful with our trip to the national parks. She was knowledgable and accessible, and her chosen hotels were all lovely. I would certainly recommend her to my friends. We had the most amazing time on our western adventure that Caroline planned for us! There isn’t a week that has gone by that we aren’t sharing the incredible memories of the places we went, the people we met and the beautiful journey through Wyoming, Montana and Idaho. We travel extensively and found Caroline after reading an article on the West she had written. Coming from New England, the West seemed overwhelming—Caroline narrowed it down, focusing on providing the best experiences based on our wishlist. It was truly perfect! We hope to explore more on our next trip and will definitely use Caroline again.